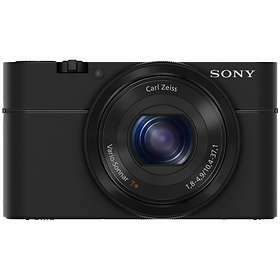 Sony CyberShot DSC-RX100 is an advanced compact camera with a bright lens (F1.8), sensor of 13.2x8.8 mm and 20.2 megapixels. The screen is 3 inch, and like most cameras today, it can record video in full HD, 1920x1080 pixels. Released in 2012.